Simply put , its a technology that incorporate in things you wear on day to day basis and it could be anything from a smart watch, augmented reality glasses or even a personal health monitor in the form of a bracelet. The idea is that technology will increasingly become more part of our day to day lives, and it will become more intrusive as it will be part of our clothing and sometimes even part of our bodies. The design of wearable computers is still a topic of research and a variety of user interfaces are being developed each day. Due to the varied definitions of “wearable” and “computer”, the first wearable computer could be as early as the first abacus on a necklace, a 16th-century abacus ring, the first wristwatch made by Breguet for the Queen of Naples in 1810 or the pocket watch from the 1500′. The first wearable computer that fits into the 20th century image was a computer designed to predict Roulette Wheels, this was invented in 1961 by Edward O Thorpe. A data tracker hidden in his shoes would track the speed of the Roulette Wheels and the computer would indicate what to bet on. In 1967, Hubert Upton developed a technology which allowed the person wearing the glasses to lip read, this was using the LED device. Steve Mann, a professor at the University of Toronto, defined computer is not merely a time-keeping or calculating device, but rather a user-programmable item for complex algorithms, interfacing, and data management. For the past few years, industry pundits have been predicting the death of the personal computer. I guess the personal computer is not dying, but is becoming even more personal. It is now something you’re going to wear – in your clothing, jewelry, shoes, glasses, watches, and even on your skin. The wearable computer was introduced to the American Army in 1989. This was a small computer that was meant to assist soldiers at the battlefield. Since this the concept has grown into the current Land Warrior program and proposal for future systems The most extensive military program in the wearables arena is the US Army’s Land Warrior system, which will eventually be merged into the Future Force Warrior system. F-INSAS is an Indian Military Project, designed largely with wearable computing. Indian Scientist, Prof. Dr. Andrews Samraj, Suggests an Ambush, emergency response, Life saving and rehabilitation for all operation strategists by the non invasive wearable technology. Smart electronic “tattoos” will enable continual fetal monitoring. Today, the data must be uploaded by going near a reader, but in the future the data will be uploaded to the cloud in real time, from anywhere. There are some more examples like wearable automatic calorie monitoring and balancing system and health monitoring devices. 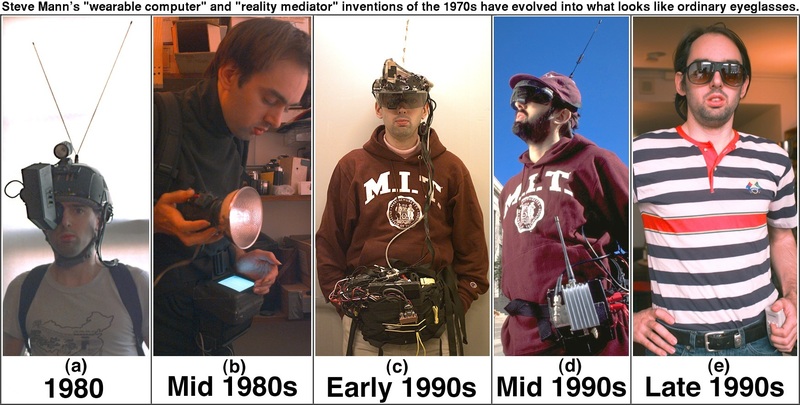 Wearable computer as devices to immerse the player more fully in the computer games or experiences him/she is currently interacting with. Currently there are already VR headsets which allows the user to change his view just by moving his head. Wearable Computers would dominate in the near future, years ago you would not have thought that you could do some of the things you can do today as computers are getting smaller and more powerful they can be integrated into virtually anything. Is a Tiny Wearable Device that you can wear on the Thumb of your hand as a ring and it will make your whole Palm, Fingers as Numeric Keypad and Gesture space. Developed in Kochi by a small company called RHL Vision Technologies. Arvind Sanjeev based out of Kochi India took less than a month and around INR 4500 to replicate Google glass via open source hardware. Whatever area wearable computer technology is applied to you can see that it willl improve the quality of life and make day-to-day life less complicated. It is only our imagination which will limit the number of applications for this new emerging technology. It may take some time for wearables to be commonly accepted. After all, it was once unusual to see people using cell phones or wireless microphones, but they have been embraced.